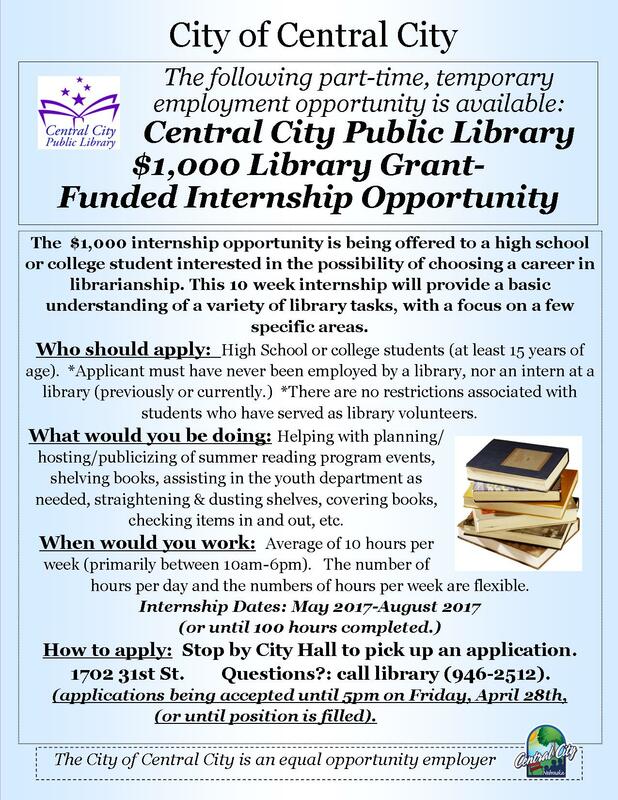 Part-time, Temporary (Grant-Funded) Summer Internship Available! Applications being accepted until 5:00pm on Friday, April 28th or until position is filled. Applications are available at City Hall (1702 31st St.).